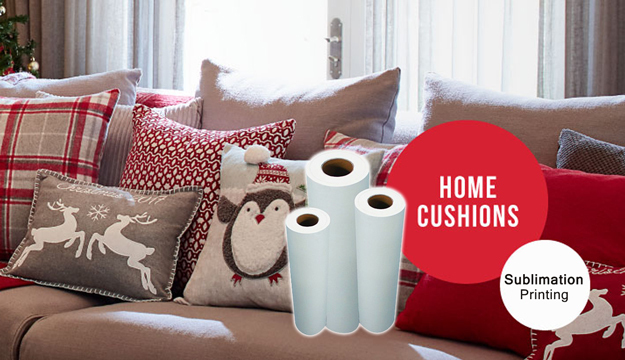 Home / Posts taggedsublimation paper"
How Much Pressure is Needed for Perfect Heat Transfer? 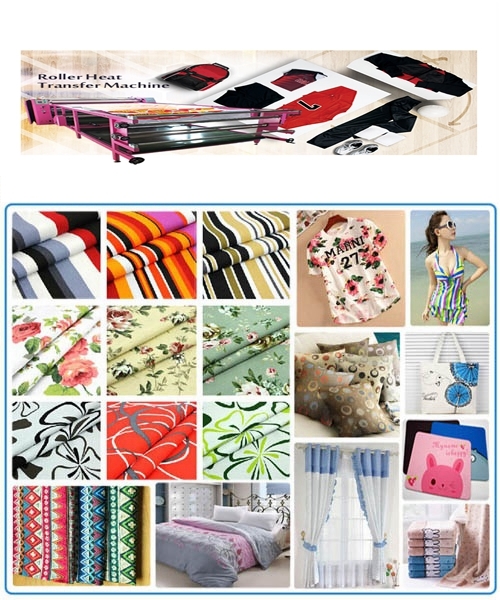 Garment decoration is a high margin business. As businesses adopt the technology of thermal transfer from vinyl graphics, it is seen that pressure poses the main problem in the process. This is paramount when spot color graphics are applied to fabric through the use of any adhesive-backed film. Thermal transfer films are of different kinds and thus the temperature and dwell time could vary for each kind of film. Harm causing factors Other than temperature and time, the pressure needs to vary as well. Too little pressure makes a bad product. The graphic will peel off quickly or after some time. It is thus important to make a nice job of it. For a majority of the thermal transfer products, there is a certain formula consisting of temperature, pressure, and dwell time. When it comes to CAD films, the need for pressure takes the form of a standard guideline, heavy, medium or light. On a few print applications like dye sublimation, the recommended pressure is printed in pounds. To give an example, a ChromoBlast pressure setting is 60lbs. Correct pressure is important for a quality product. Thermal film adhesives get activated by both pressure and heat. Insufficient amount of any of these two will result in the film not sticking to the garment. A few film manufacturers have claimed that the output stated by heat press is wrong, and the operator needs a digital thermometer to get the needed application temperature. Importance of pressure Heat is only a small component of the equation. Inadequate pressure will make a weak bond between fabric and film. Too light a pressure means the adhesive will not bond with the garment fibers. The latter will be overwhelmed by the stress generated by liner removal. The turbulence, water, and heat of laundering may also cause the applique to move away in case it has not sealed in a proper manner. Thus there is a possibility that there can be sufficient pressure for the first transfer to be held, and insufficient to be a wash-fast. It is apparent that correct pressure is extremely important. A thumb rule is to put a little more pressure than recommended. Excessive pressure is perfectly okay for most films. An effective technique to make sure that the print remains fast is to repress that transfer post liner removal. You should peel the liner, and reduce time setting to approximately five seconds, and then press again. This process will assist the film to recover from the weakening effect generated by the liner pulling at the fresh bond between fabric and film. If you are using a heat press, a lot of the quality of the final product depends on the heat transfer paper you use. Make sure you pay attention to all the key factors that ensure a perfect print each and every time you use your heat transfer machine. Here’re some tips when using a heat press. Heat transfer paper products are not created equal. There are many different companies who produce heat transfer paper, but they specialize in particular types of T-shirts. Now, if you are going to be producing a certain type of T-shirt, and it doesn’t fall within that range of specialization, failure shouldn’t surprise you. You shouldn’t be shocked when you don’t get the quality that you are looking for. It really boils down to using the right tool for the right job. Unfortunately, too many T-shirt makers try to use the wrong tool for the wrong job. They pick the wrong transfer paper and they expect their T-shirt to come out the way they assumed it would. Well, this really is assuming too much. If you have a specific type of T-shirt in mind, make sure that you use the right heat transfer machine, you go through the right process, and most importantly, you use the right heat transfer paper. Otherwise, regardless of how awesome the vinyl design of your T-shirt is, you’re not just going to get the look that you’re looking for. You will miss the mark. It really all boils down to that. It’s really important to make sure that you use the right paper. Now, while 50% of the battle involves picking the right heat transfer paper, you’re not in the clear yet. It’s not that simple. There is the other matter of using the equipment the right way. Be aware of the sides of the transfer paper and don’t forget to mirror code your design before printing. A lot of otherwise creative people come up with these amazing designs, but they forget that there’s actually a mirror mode printing. What happens is that they end up printing the design the wrong way. It’s like you printed a negative. You wouldn’t want to do that so make sure the printer settings are correct so you can print the design on the heat transfer paper the right way. Next, you need to cut around the image carefully and you must choose a flat surface. If you’re using a heat transfer press machine, make sure it doesn’t have any dust or particles on it that may get in the way of proper heat transfer. Once the heat transfer paper is positioned correctly, make sure the iron is really hot. Don’t press down when the machine is just warming up. The resulting transfer is not going to look all that good. Chances are quite high that you will let go of the heat machine too quickly and the transfer won’t take place optimally. It’s really important to pay attention to these small details. Today’s article is shared here. We FeiYue Digital Technology Co., Ltd mainly manages sublimation paper, inkjet printer, digital printing inks, calendering machines and accessories. If you are interested in our products, welcome to contact us at any time. We will provide you the best quality product and service. Thanks for your reading. 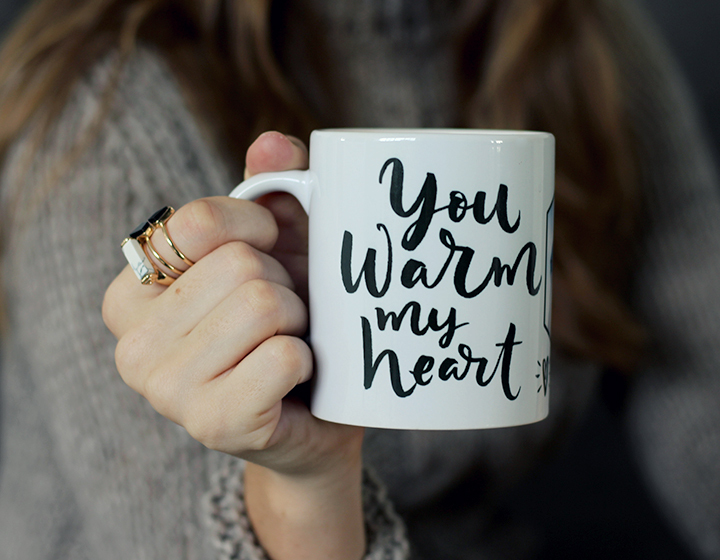 Why You Need a Heat Press Machine for Mugs? A heat press for mugs is a machine that is specially designed for printing artwork/graphics onto a mug. With this machine, you can get full color, sharp and vibrant images on your favorite coffee or travel mug. Today, I will briefly introduce some useful knowledge about mug heat press machine. 1.Why You Need a Heat Press Machine? Numerous upcoming entrepreneurs are recognizing that ‘customized printed mugs’ is a lucrative business idea. Also, it enjoys an exceptional demand in huge corporate organizational setups. If you’re looking to create customized printed mugs for your business, it would be a good idea to buy a high-quality heat press machine, designed especially for mug printing. Besides professional use, mug heat press machines can also be utilized for personal reasons at home. For instance, you could create customized festive mugs for gifting to your loved ones during Christmas. Similarly, you could make customized ‘couple name mugs’ for your soon-to-be-married friends and present to them as a gift on their wedding. If you’re looking to apply your artwork or graphic slightly higher up (such as on a tall water bottle), then a vertical heat press machine may not be the best thing to work with. This is because it will only cover the item to the extent of its length/height. 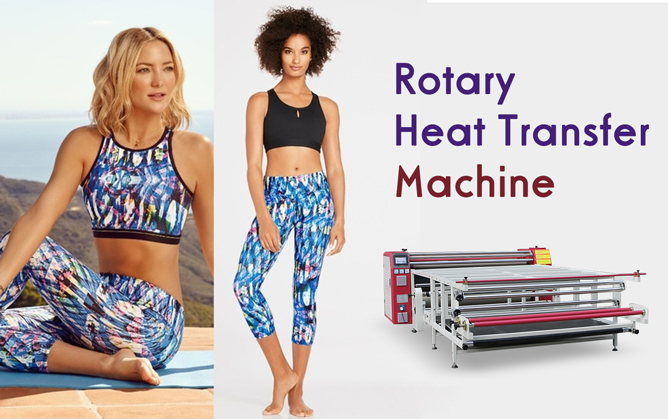 On the other hand, a horizontal heat press machine allows you to place the graphic anywhere inside the heat press given that both the surface on which the graphic is placed and the press are flat on the graphic when it is pressed down. It is possible to get pre-designed graphics that can go directly onto your coffee mug or travel mug. But you could also consider purchasing blank sublimation papers and print on them with a printer. What is Dye Sublimation Printing?What Do You Need for It? what is dye sublimation printing?Now,I share you something about it —— Dye Sublimation printing is a technique that uses heat sensitive inks. These inks turn into gas under the influence of heat and combine with a polyester medium. Since the ink becomes part of the structure of the material, the images on the fabric don’t fade or crack – even after multiple washings. Then what do you need for it?You need various items to create sublimated textiles including flags, displays, sportswear, fashion, interior decoration and much more. A high-quality printer equipped with sublimation inks is essential. The Oric and Epson printer that are specifically designed for sublimation printing. The printers are available with Texart ink in four (CMYK) or eight colours (C,M,Y,BK,LC, LM). These inks have many colour-giving elements and are highly concentrated, which is necessary to create beautiful, vivid and crisp images. You also need a software to control your printer and to manage your print jobs. Therefore, when you invest in a printer, you are sure that you also have the ideal software at your disposal to run your machine. It has a perfect colour management and a multi-colour engine . To create high-quality sublimation prints, you need a transfer paper that has high ink absorption and dries quickly. The paper needs to stay flat and may not wave after printing. It is also important that the paper releases the ink when heating. 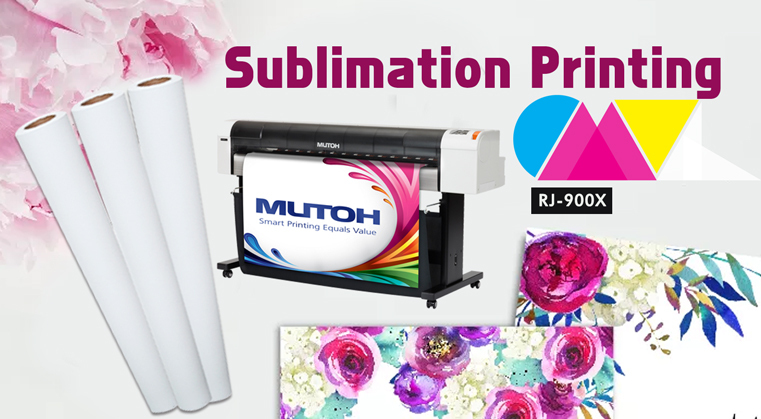 The Sublimation transfer Paper does all that and is therefore the perfect paper for your sublimation prints. Printing is only the first step of the dye sublimation process. 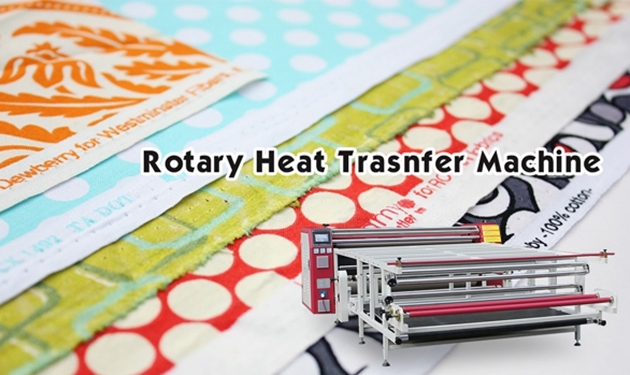 For sublimation to take place, you need heat and pressure. 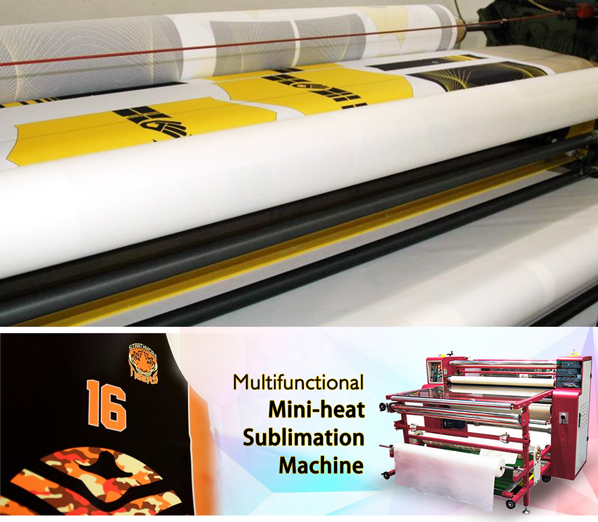 Heat presse machine come in a variation of sizes and shapes, but you need a calender for roll-to-roll sublimation. Our company offers many kinds heat press, with a professional calender system that is fast, affordable and easy to use, making it a perfect finishing partner for the sublimation printers. When choosing a textile for sublimation printing, it is important that you take a polyester fabric that is pre-shrunk. This avoids shrinking when heat is applied. For printing products you also need a Laser Cutting Machine. With a laser, cutting your fabrics and textiles to size can be done with both efficiency and ease. Laser engraving your materials can provide both a tactile effect and unparalleled high-quality finish. 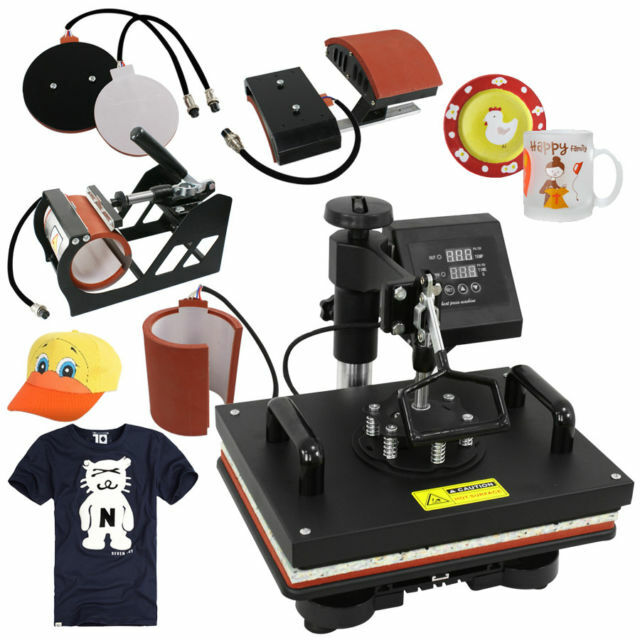 Whether your application is cutting unique and fine detailed shapes out of polyester, or engraving on a wide variety of other materials, laser engraving machines offer nearly endless design possibilities. Even applications with synthetic substances can be laser engraved, as these types of materials react very well during processing. Laser machines are ideal for processing polyester, because they perfectly seal the edges once heat is applied from the laser beam, and the material is left without any fraying. Okay, These all above are my share about the question——what is dye sublimation printing?What do you need for it?If you have any other needs or questions welcome to contact us at any time. We will provide you the best quality product and service. Hope my article can be useful to you. Thank you for your reading.